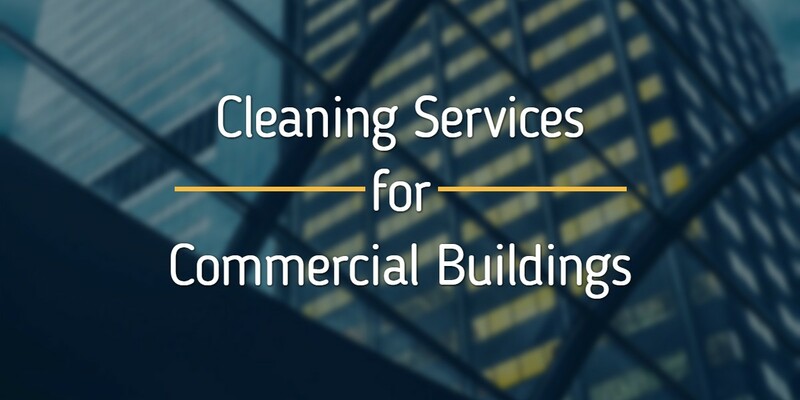 Cleaning services for commercial buildings require an experienced, multi-disciplined custodial provider to ensure the health, safety, and satisfaction of building occupants and visitors. To maintain a safe and appealing environment, facilities managers for large commercial office buildings must consider several factors. 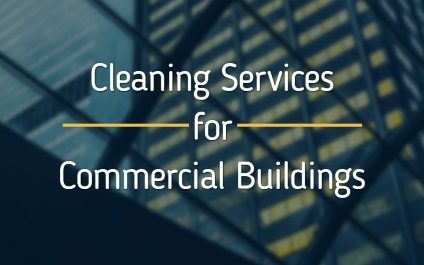 Specialized cleaning services for unique tenant requirements, such as doctors offices, data centers, and bars/restaurants. Employing a single service vendor to address all of your facilities outsourced custodial and maintenance needs have several benefits. The elimination of expenses and liability associated with maintaining an in-house staff. Depending on the nature of the facility--school or hospital compared to a large, or series of small businesses--the reality of outsourcing certain positions or specific tasks may be less practical, but overall, the cost-benefit of retaining the services of an outside vendor for non-specialized, routine, and laborious tasks are becoming more apparent. It lets organizations pay for only the services they need and when they need them. It also reduces the need to hire and train specialized staff, brings in engineering expertise from the outside, and reduces capital expense, yielding better control of operating costs. The outsourcing arrangement can change as your maintenance needs change. The professional appearance and atmosphere of your facility establish the first impression for visitors, prospective customers, and tenants. People form opinions within seconds of seeing any office, store, restaurant or home. A well maintained office and building speak volumes about the professionalism of the doctor. My patients notice things about the office exterior, commenting on things such as flowers and any inconveniences they experience in our parking lot. Spend the money to keep things well maintained and looking professional. It is not always easy to bite the financial bullet, but is usually worth it in the long run. Blind & Drapery Maintenance and Cleaning - Blinds, curtains, and drapes, by design, accumulate large volumes of dust and other microbes, which can contribute to a distressed look, as well as health issues. Blinds should regularly be dusted, and drapes and curtains should be removed and professionally cleaned. Carpet & Floor Care - The lobby floor is one of the first, and lasting impressions a visitor to your building will walk away with. The tile or marble should shine, walkway mats, rugs, and carpets, which also collect large volumes of dirt and microbes, should be clean, stain and debris-free, and vacuumed, shampooed, or buffed and waxed on a schedule that addresses the foot-traffic type and volume. Parking Lot, Sidewalks, & Walkways - All parking structures and walkways should be free of debris, especially during and post-construction, to avoid trip-and-fall hazards and liability, as well as present a professional appearance. Ensure all garbage is removed, at least daily, and that walkway's, especially elevated ones, or those meant to serve the disabled, are regularly maintained and cleaned with a pressure washer. Window Cleaning & Maintenance - Spotless windows offer more than just positive curb appeal, they assist in natural lighting and heating a building which, depending on the design, can reduce energy consumption and operational costs, as well as expand the life expectancy and use of the windows. General Office Cleaning & Maintenance - Tenant offices and facilities, especially restrooms and kitchens, will need to be cleaned and maintained daily with certified green cleaning products to ensure a safe level of disinfection without releasing toxic fumes and particles into the air supply. Supplies & Product Purchasing - Sustainable green product purchasing, use, and life-cycle management is one of the most accessible and most cost-effective areas to outsource, potentially saving your organization millions of dollars in long-term storage, shipping, and health-related costs. Outsourcing your commercial properties custodial and routine facilities maintenance needs to an experienced custodial provider is a proven method for reducing costs and liability while improving occupant satisfaction. Pairing those services with sustainable practices and certified green products will improve your organizations appeal to current and prospective tenants and customers while further reducing potential liability issues and long-term health care expenses. Depending on the nature of the business[s] occupying the building, as well as your facilities budget, specific cleaning cycles, tools, and chemicals may prove more efficient and cost-effective. If you would like to learn more about the advantages of outsourced green cleaning services and facilities maintenance for your commercial office building, contact us today for a free quote!